It will make you love harder, feel deeper, live life fuller. Breathe in and breathe out with a bit more gratitude. Sweat less over the small stuff. 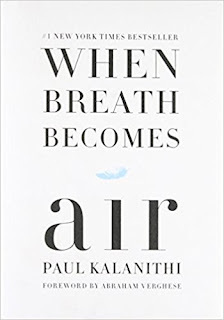 I couldn't recommend When Breath Becomes Air by Paul Kalanithi enough. But I do warn you - make sure you are in the right frame of mind to read it. 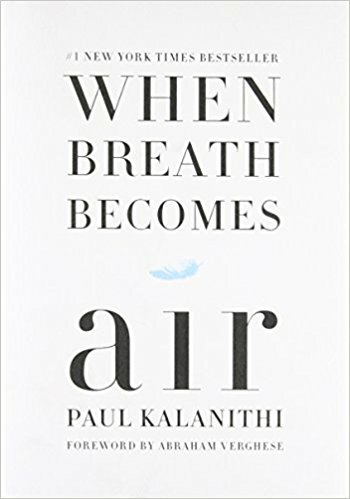 His writing is so eloquent and his mind was so beautiful that you feel the pain of his journey but it's a sweet kind of pain. A well thought out kind of pain. A pain, that if taken in the right stride, can make you a better person.